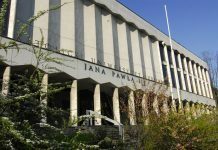 Hopes and challenges related to the consecrated life as well as the protection of personal data have been some of the topics of the assembly of the Conference of Major Superiors of Women Religious in Poland. 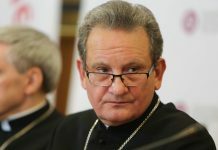 The Plenary Assembly took place on April 9-11 in the Plenary Hall of the Secretariat of the Polish Bishops’ Conference in Warsaw. 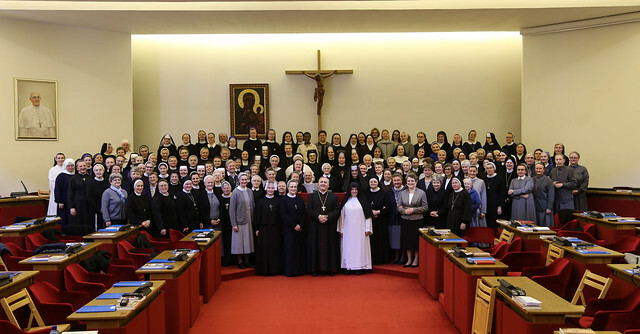 The assembly of the Conference of Major Superiors of Women Religious began with the Holy Mass presided by Archbishop Salvatore Pennacchio, Apostolic Nuncio to Poland. The meeting was chaired by M. Maksymilla Pliszka, chairwoman of the Conference. On the first day, the nuns met with Bishop Artur Miziński, secretary general of the Polish Bishops’ Conference, who presented the current issues of the Church in Poland. There are 18,807 nuns in Poland who serve in such areas of ecclesiastical and social life in Poland and abroad as educational work, various forms of caring for youth, catechization and other forms of evangelization, spiritual and material help. 1254 nuns live in contemplative monasteries.